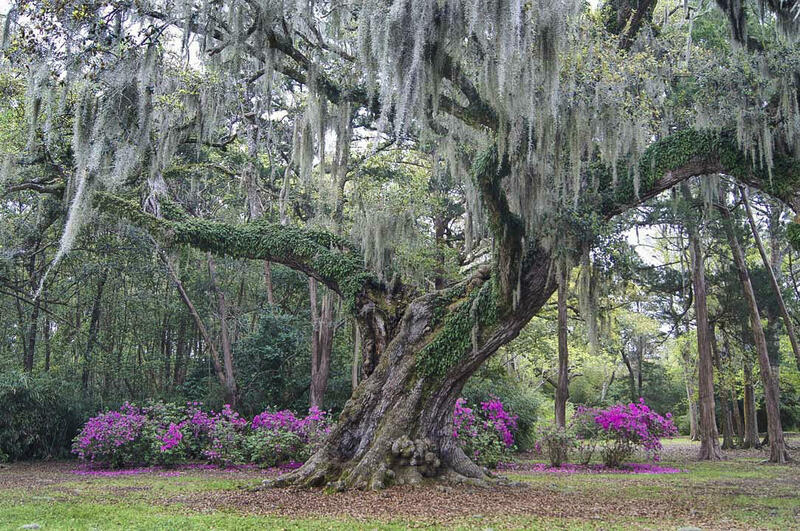 In South Louisiana, live oaks are history, heritage, and heirlooms all rolled into one. They offered shade and protection for the first settlers’ homes along Louisiana’s bayous and rivers. On the old land maps, they marked property lines. Duels were fought and honor won or lost under their arched limbs. 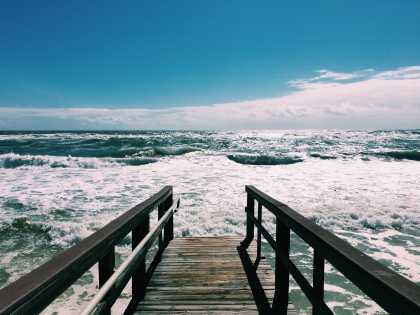 People picnic under them, get married under them, dance the two-step under them, and finally when the music ends, are laid to rest near their roots. 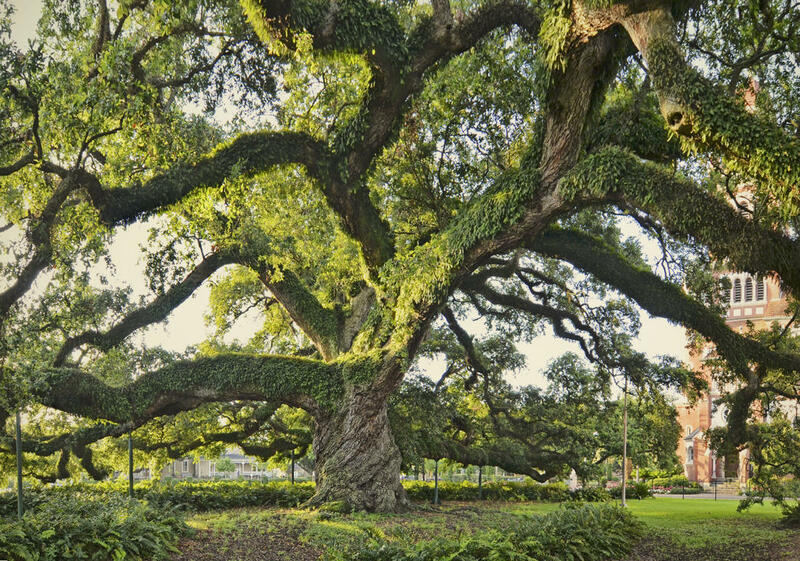 In 1934, Dr. Edwin Lewis Stephens, first president of Southwestern Louisiana Institute (now the University of Louisiana at Lafayette) proposed the creation of an organization made up entirely of the largest and oldest live oak trees in Louisiana. His vision was that the organization’s membership would include trees whose size and age made them significant cultural and natural resources, worth identifying and preserving for future generations to enjoy. From his orientation as a scholar and writer, Stephens recognized the deeper truth of this Southern icon—the live oak symbolically reflects the most distinctive characteristics of the cultures and people that settled this rich alluvial area: strength of character, forbearance, longevity, and a hearty nature. 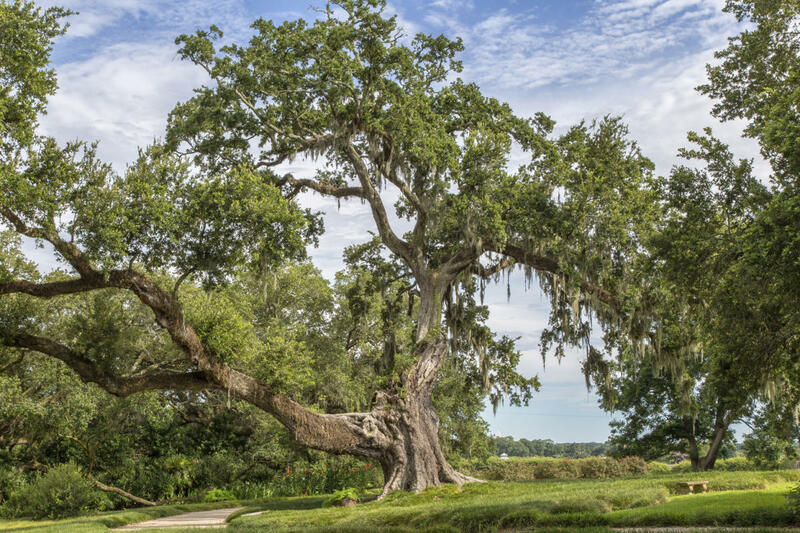 Beginning with just 43 inductee oaks in 1934, the Live Oak Society’s roster of member oaks now counts more than 8,300 registered trees across 14 southeastern U.S. states. 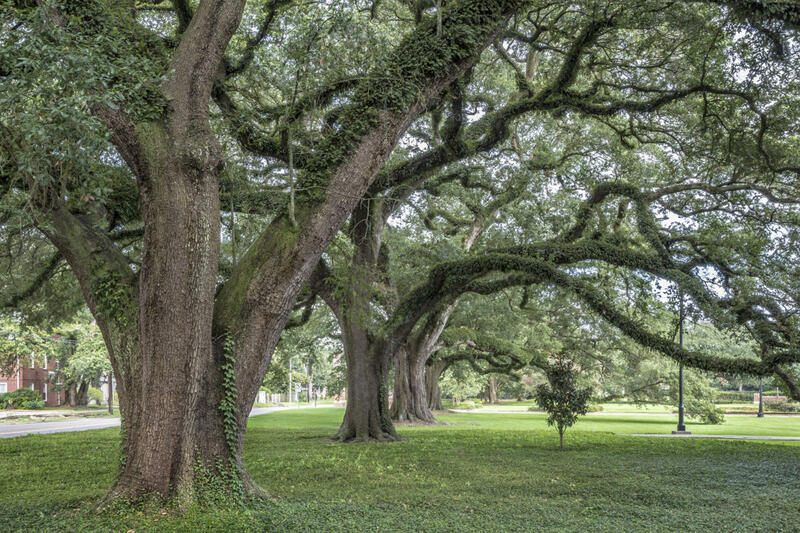 In the Lafayette area, there were 12 oaks among the original 43 charter members. Today, more than a thousand oaks in the Lafayette area are listed on the society’s registry. 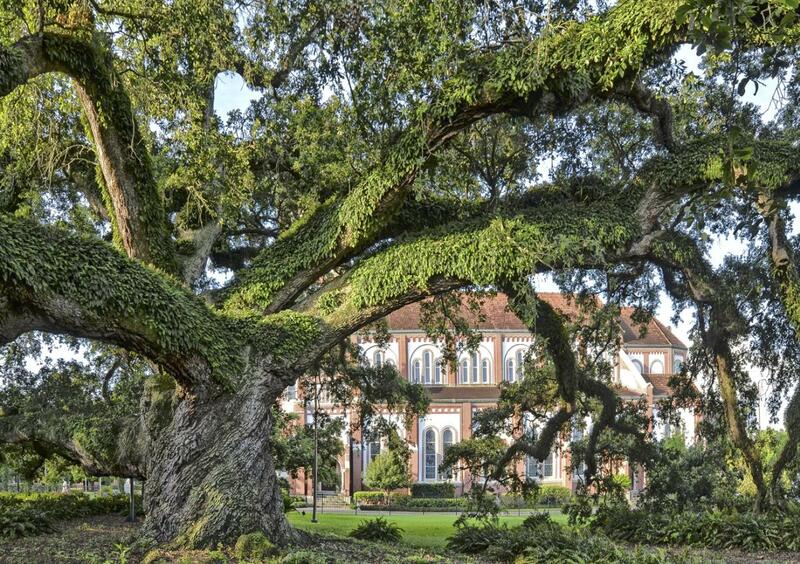 The St. John Cathedral Oak is probably the most well known live oak in the Lafayette area. 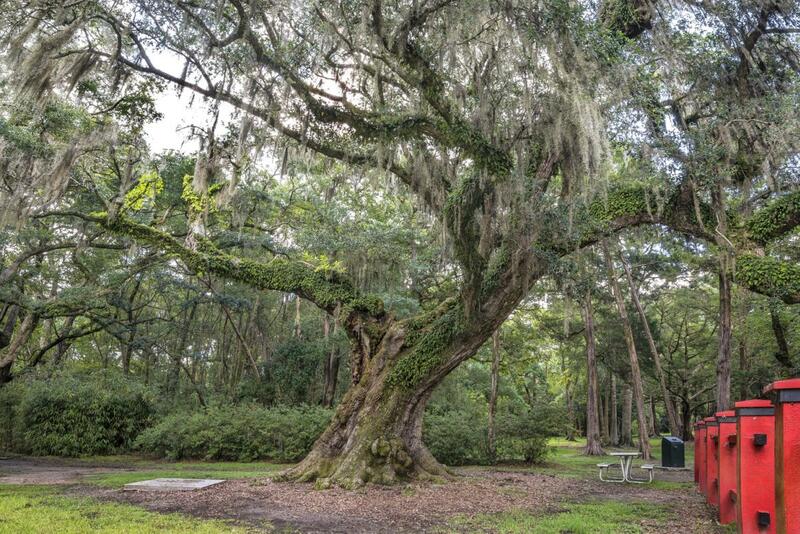 It is the second vice president of the Live Oak Society and was one of the society’s 43 original member trees. Some estimates place the tree’s age at more than 450 years old. The distinguished oak is located on the grounds of the Cathedral of St. John the Evangelist on St. John Street in downtown Lafayette. 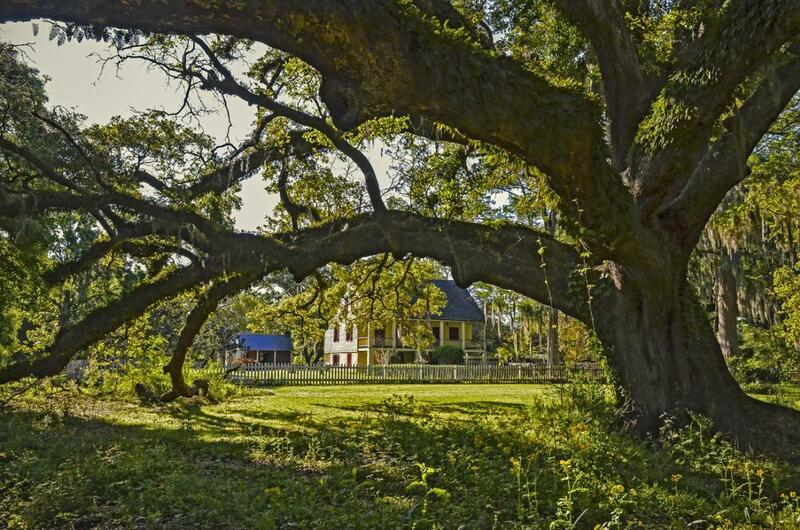 In 1821, Jean Mouton, an Acadian refugee and owner of a large plantation named Vermilionville, donated the land on which the oak grows to the church parish. According to the cathedral’s website, the first pastor (Michel Bernard Barriere) may have requested this specific site from Mouton because of the towering live oak tree located there. According to Dr. Stephens, the oak was measured in 1929 with a circumference of 19 feet. In May 2008, local arborist Jim Foret measured the oak. The circumference was 28 feet 8 inches, it was 126 feet high, and had a crown spread of 210 feet. In May 2015, Foret measured the circumference again at 29 feet 6 inches. 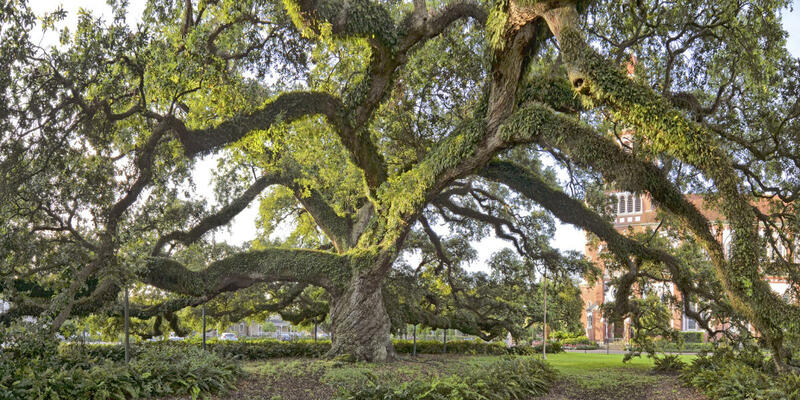 Foret says that old live oaks ordinarily grow much slower than this, but the soil around the Cathedral Oak received significant nurturing in the past two decades and that may have caused the growth surge. In the 1990s, a parking lot was moved away from the tree and in 1995 a protective fence was added to reduce foot traffic and protect the tree’s extensive root system. The Cathedral Oak was well known to Dr. Stephens and he posed for several photographs in front of the oak during his tenure at SLI. He and his wife Beverly made frequent driving trips through the Acadiana back roads in search of notable live oaks. To their visiting guests, he was known for his “Live Oak Trail” tours where he would share some of his favorite old trees and groves across the Acadiana countryside. The Cathedral Oak was always at the top of his oak tour list. Many of his photographs documenting these trips can be found online at the Louisiana Digital Library under Southwestern Louisiana Institute Photographs, 1923-1940. 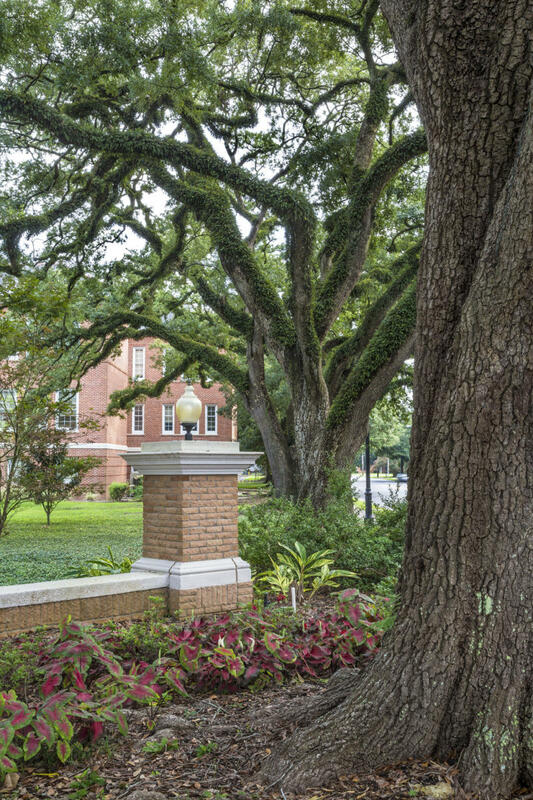 On New Year’s Day 1901, Dr. Edwin Stephens, the first president of Southwestern Louisiana Institute (now the University of Louisiana at Lafayette), planted 18 young live oak trees near the campus entrance, at the intersection of Johnston Street and University Avenue. Stephens named them the Twentieth Century Oaks since they were planted in the first year of the new century. Stephens was only 27 years old in 1901 when he dedicated the Twentieth Century Oaks. He was one of the youngest college presidents in the country. Yet, even as a young man, he had a clear vision for the new SLI campus and a plan to transform 25 acres of empty sugarcane fields into a landscape fitting for a respected institute of higher learning. In 1934, Stephens authored an article for the Louisiana Conservation Review that launched the Live Oak Society – a unique organization whose members are all live oak trees. The society’s goal was to promote the appreciation and conservation of senior members of the live oak species (Quercus virginiana). The organization’s original by-laws stated that “annual dues” of 25 acorns were to be collected from each member tree. These acorns were to be planted on the Southwestern Institute’s farm (near Lafayette) to provide the campus with young live oaks grown from the hardy genetic stock of society’s centenarian member trees. Today, more than 100 years later, ten of the Twentieth Century Oaks are still standing, providing cooling shade for pedestrians near Girard Hall. 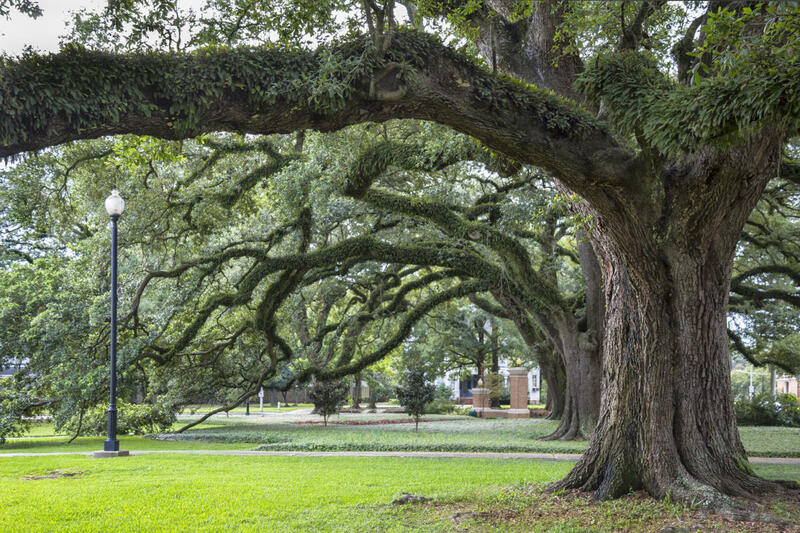 According to UL Lafayette’s grounds manager, Mike Hess, the Century Oaks are among more than 250 live oaks that he cares for on campus. 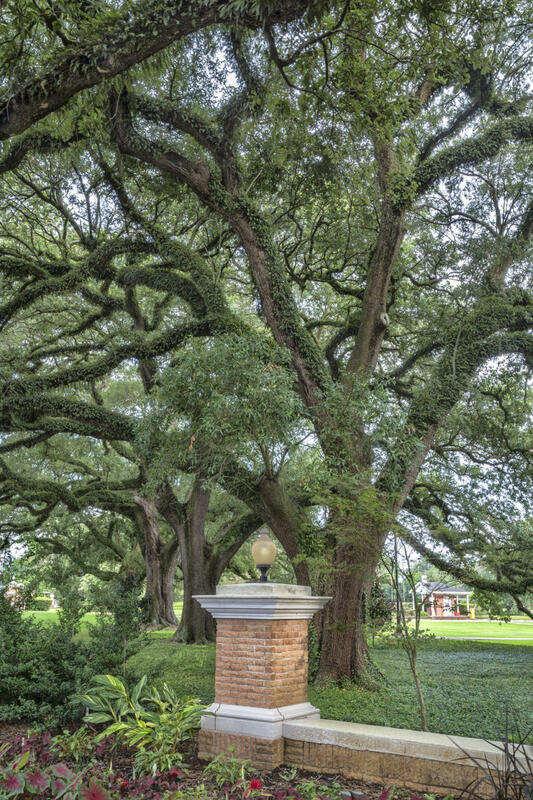 Hess feels that these stately oaks are ambassadors of our Louisiana culture. 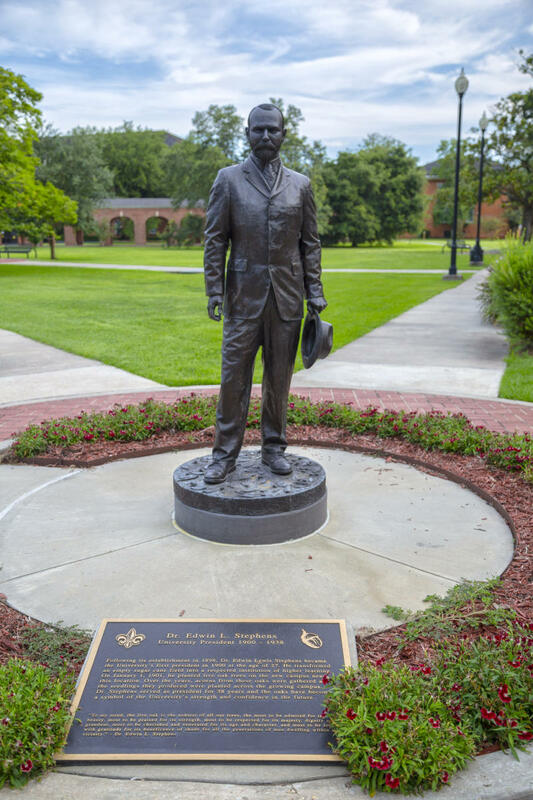 In 2014, a life-sized bronze statue of Dr. Stephens was erected near the Century Oaks and Girard Hall in honor of his 38-year tenure as president and his legacy as founder of the Live Oak Society. The statue, standing more than six feet tall holds an acorn in its right hand, symbolic of Stephens&apos; connection to Louisiana’s iconic live oaks. 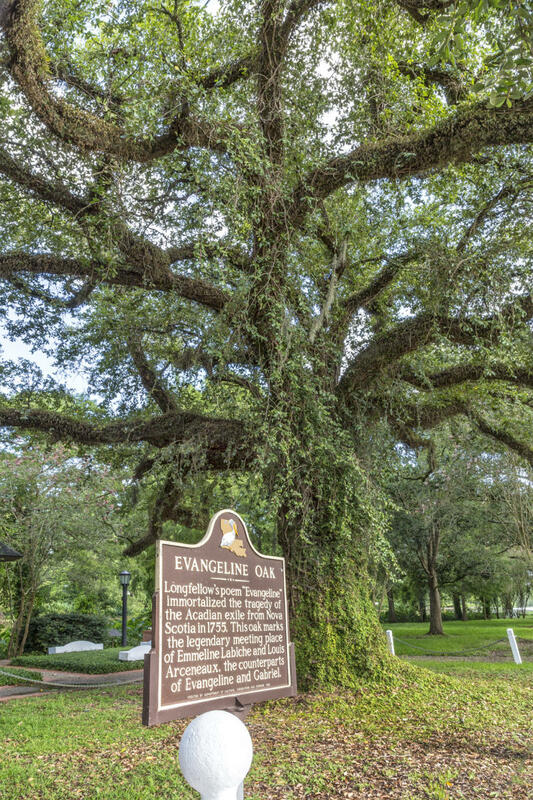 The Evangeline Oak is undoubtedly the most famous oak in Louisiana, though oddly it’s not a very old or exceptionally large tree. According to some sources, it’s the third oak in the St. Martinville area that has been designated as the “oak under which the Cajun lovers Emmeline and Louis were reunited after their long separation when the Acadians were exiled from Canada.” Emmeline and Louis are reported to be the real life characters upon which Henry Wadsworth Longfellow’s fictitious Evangeline and Gabriel were modeled. 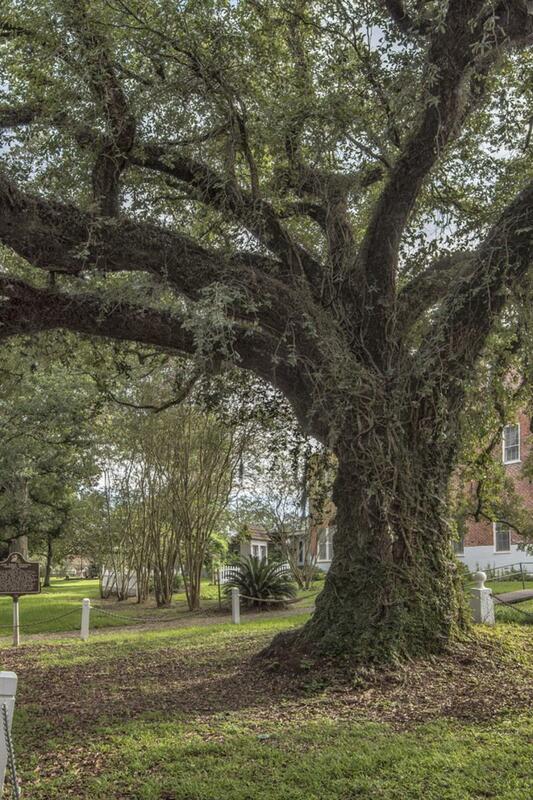 The Evangeline Oak is located on the edge of Bayou Teche, at the foot of East Port St. in St. Martinville. 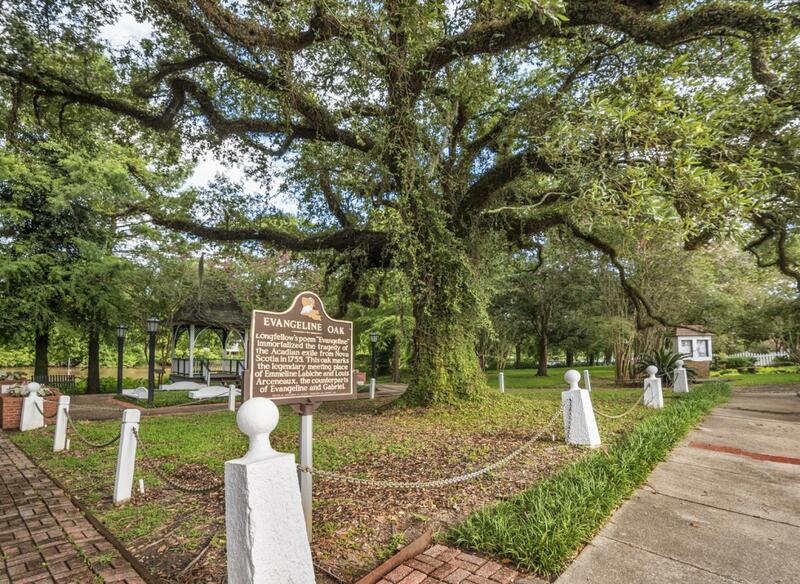 The Gabriel Oak, a lesser-known and larger tree, is located in the Longfellow Evangeline State Historic Site, just a mile or so north of St. Martinville on Hwy. 31. The park showcases several restored historic buildings and its museum gives a comprehensive view of the time period of Acadian settlement along Bayou Teche. 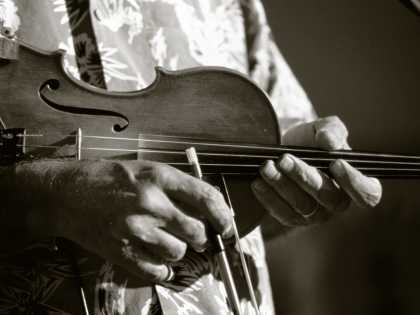 The details of the folk tale of Evangeline come from two sources—the epic poem by American poet Henry Wadsworth Longfellow, published in 1847, and a subsequent story titled Acadian Reminiscences, written in 1907 by Felix Voorhies, a St. Martinville judge. The judge’s story is based on the recollections of his grandmother, in which she claimed to be the adoptive mother of a girl named Emmeline Labiche. Voorhies believes that it was Emmeline’s life story that Longfellow had heard and reshaped into the poem of Evangeline. Longfellow’s poem, published under the title, Evangeline, A Tale of Acadie, describes the betrothal of the fictional Cajun girl named Evangeline Bellefontaine and her beloved, Gabriel Lajeunesse. The poem describes their separation when the Acadian people were forced from the present day Canadian provinces of Nova Scotia, New Brunswick, Prince Edward Island, and part of the state of Maine—an area known as Acadie or Acadia. In Longfellow’s poem, small groups of Acadians resettled in cities along the eastern seaboard, and Evangeline searches from city to city for her beloved Gabriel. Eventually, she gives up, settles in Philadelphia, becomes a nun, and works at a hospital. Years later, she finds Gabriel again—though now he’s elderly and ill. He dies in her arms and within a short time she follows him to the hereafter. In the mid-1800s this became a very popular Romeo and Juliet tale. 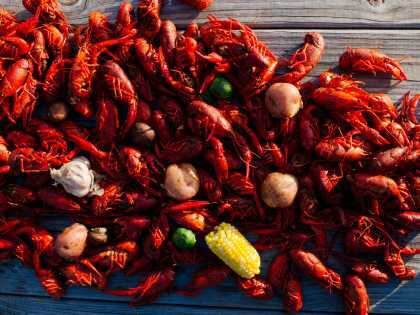 In Judge Voorhies’ story, the lovers reunite not in Philadelphia but in St. Martinville, under a live oak tree whose branches stretched over the dark waters of Bayou Teche. The reunited lovers embrace but then Gabriel (whose actual name was Louis) remembers that he is already married. Eventually, Emmeline (Evangeline) goes insane and dies. A good reference for a more factual history of the St. Martinville area and its settlement by the Acadians can be found on the St. Martinville website. Joseph Jefferson was a famous American actor through the mid-1800s and was most well known for his role as Rip Van Winkle in the dramatic stage version of Washington Irving’s story. After performing in New Orleans in 1870, Jefferson bought a property previously called Orange Island (for a large grove of orange trees growing there at the time). He was an avid fisherman, outdoorsman, hunter, and painter. In his role as actor, Jefferson made many friends in the arts, and in business and politics, including President Grover Cleveland. In 1892, between Cleveland’s first and second presidential terms, he visited Jefferson at his home on Jefferson Island and toured the New Iberia area. 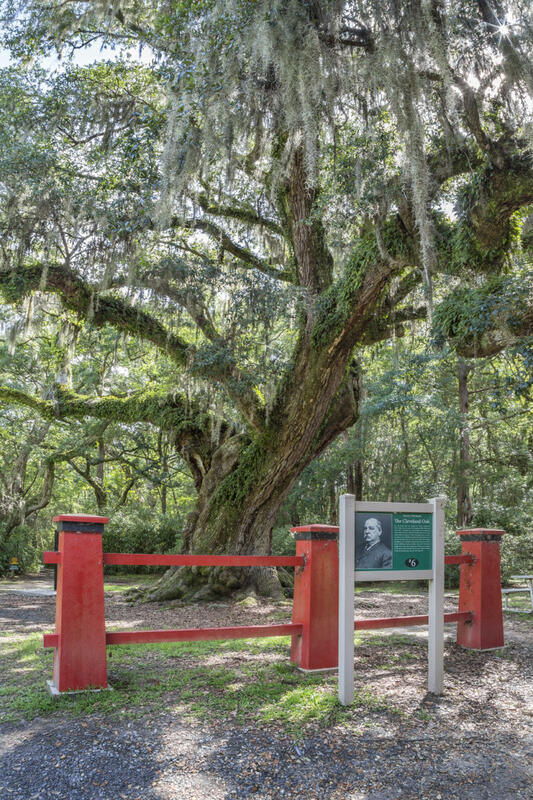 From this visit, two ancient oaks, one on Jefferson Island and one on Avery Island, were named in the President’s honor. The Grover Cleveland Oak on Jefferson Island with a girth of 24′-8″ can be seen as one reaches the split in the entrance road—to the left is the entrance to the gardens, gift shop, and restaurant; to the right is the entrance to the Jefferson mansion driveway. Over the fence and behind small tress lives the Grover Cleveland Oak. In the last year, this venerable oak lost several major limbs, and though it’s a shadow of its former beauty, it’s still a grand old tree. Jefferson Island has at least two other oaks on the Live Oak Society registry. Visitors may also enjoy the Rip Van Winkle Gardens, Café Jefferson, and stay overnight at the bed & breakfast cottages. The Grover Cleveland Oak in Jungle Gardens at Avery Island today has the largest girth of any other oak on the island at almost 25 feet. 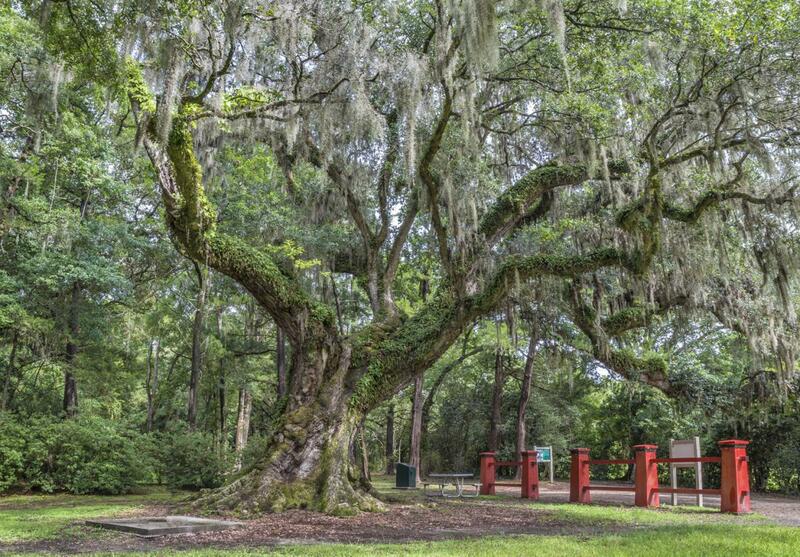 It was one of three oaks on Avery Island that were on the list of original charter members to the Live Oak Society. Besides Jungle Gardens and Bird City, visitors can enjoy the McInhenny Tabasco Museum, the Tabasco Restaurant 1868, and a guided tour of the Tabasco production process. In Ethelyn Orso’s book, Louisiana Live Oak Lore, she relates a funny anecdote about President Cleveland’s 1892 trip to visit Joseph Jefferson at Jefferson Island. While there to hunt and fish, Cleveland asked to speak to some former slaves and see their dwellings. Upon entering one black woman’s home he saw a framed picture of himself hung on the wall. Overwhelmed with pride, he asked the woman if she knew who that was in the picture. After a moment’s reflection, she replied that she wasn’t sure, but she thought it was “John the Baptist.” Cleveland was devastated. Later, he denied that she had responded this way to his question. Later still, he denied that he had ever come to Louisiana.